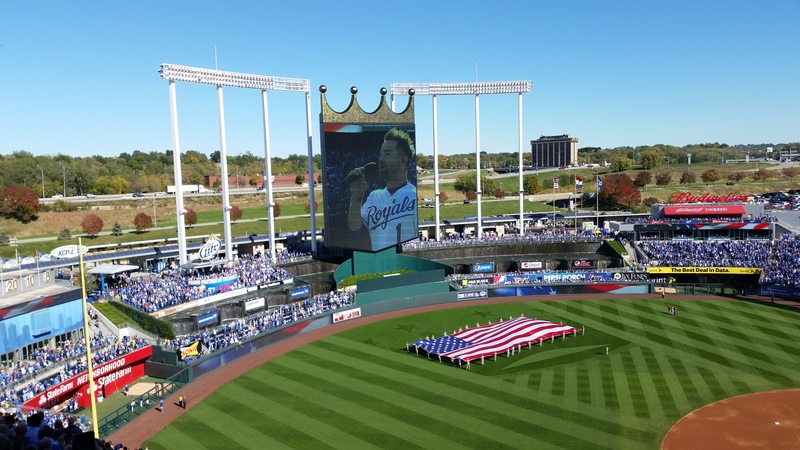 Many of you know from FB that Bill and I were at the final game of the playoffs for the Royals. It was exciting to see it happen, to be part of the thrill and be there LIVE! Yes, the KC Royals are going to the World Series!!! Whoo Hoo! I feel 25 years younger as it has stirred all these exciting feelings of the early 80s. Bill and I lived in KC, the kids were just toddlers, the Royals and George Brett were the THING! Overall I am not a big sports fan, (just for the Royals =), but I think there are life lessons that we can compare with sports. I think life is a constant, day in and day out series of choices, to be positive or negative. ‘Life’ is going to throw curve balls, fast balls, you are going to get a few walks and sometimes the ball is going to hit you. You will have times when you are going to knock them out of the park, bunt, and sometimes feel like you strike out. Right? My question to you is this, are you going to keep stepping up to the plate? Are you going to live life with the expectancy of getting that Home Run or are you just going to choose to stay on the bench? We do have choices, and over the next several weeks I am going to be talking about how to live life in a Positive space, no matter what. We all have ‘stuff’ . . . but it is what you do with the ‘stuff’ that matters. Your attitude, your frame of mind, your choice. ‘Not half Bad…” have you heard that saying? So I guess if something is ‘Not half bad…it must be half good, right? Is life full of hope and promise, or is it just existence? Are you walking in faith and hope or in defeat? Is the world out to get you, or are you going for it all? Question: Do you consider yourself Positive person . . . or Negative?